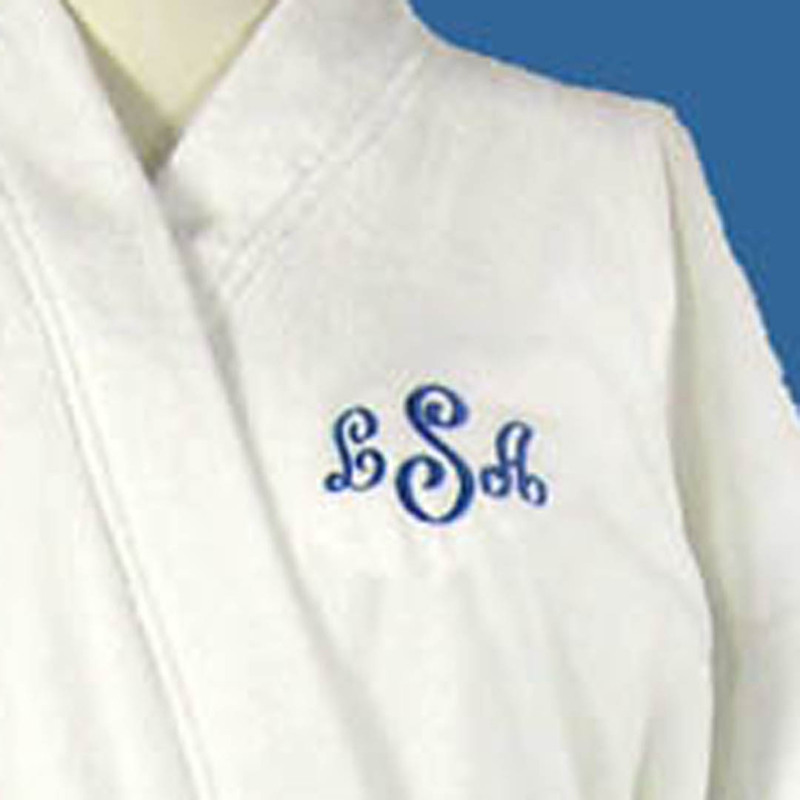 So nice to step into after a bath, our cotton terry monogrammed robe is made for pure comfort. Soft white velour terry robe has roomy raglan sleeves, two pockets, and a self belt. One unisex size fits most. 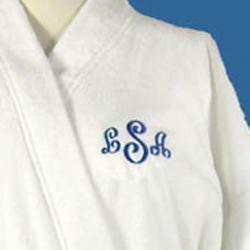 Embroidered with a first name or monogram, these robes would make a great wedding or anniversary gift for that special couple.